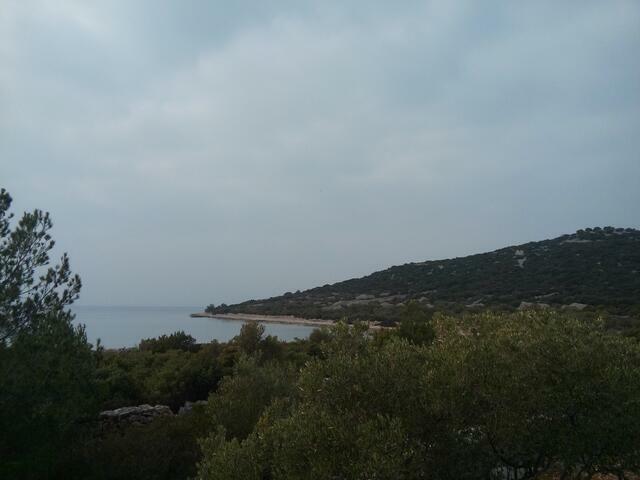 Island Murter will be first choice for a summer destination for all of those who look for a place with a relaxed atmosphere and magnificent nature. Of course, Murter also has attractive pebble beaches and coves we heartily recommend you explore them – whether by swimming or snorkelling. 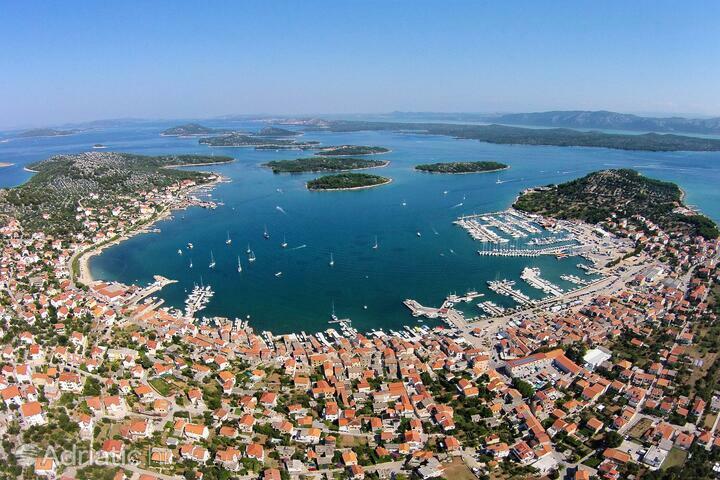 Murter is all the more attractive because of its proximity to National Park Kornati. Book one of our good priced apartments with a seaview, and if you're planning to come to Murter in summer, take a look at our offer of air conditioned apartments. Tightly embracing the Adriatic coast, Murter island is an introduction to the magic of Kornati national park, on which it lays some claims. 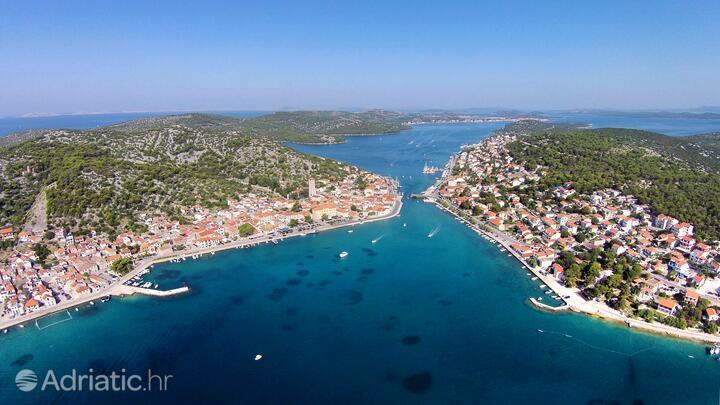 The moving bridge, built in 1832 to connect the mainland and island parts of Tisno town, has itself become a real attraction. In ht summer season it only descends for certain periods of time, otherwise letting the numerous vessels exploring the Murter sailing paradise through. 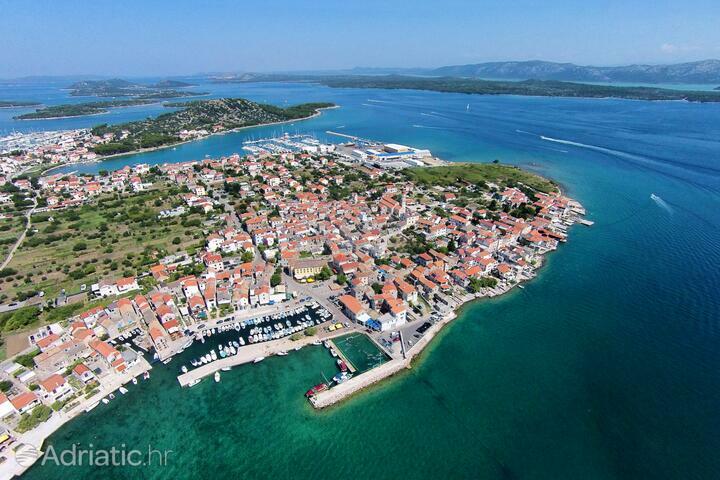 Bird watchers will be delighted by a visit to Kornati national park, as well as a chance to visit, in the pinewoods of the Šibenik interior, the Dubrava hawking center. Stone ruins which can be found all over Murter island are all that the ancient Liburnians left behind them. The largest site, the Gradina, is surrounded by the towns of Betina and Murter. Remains of classical antiquity can be seen in the remains of the Roman town Colentum, a Roman villa and water tank, known as the "dungeon". Murter island on its crossroads of land and sea immortalize the special moments in the lives of its inhabitants in the shape of many votive chapels. The crown jewels of the island'd sacred architecture are the medieval church of Saint Michael in Murter town and the baroque church of Saint Francis of Assisi, the pride of Betina. Individuals living on Murter own most of the real estate property of Kornati national park, where they often take serve as guides to lovers of natural beauty. A seafood specialty or a bite of Kornati lamb will enrich the day's proceedings. The most popular feature of the Kornati national park are the vertical cliffs known as "crowns", which carve the islands from the open sea. Birds reign the "crowns" above water, but their submerged part are revealed to diving enthusiasts. Should you find it hard to leave this place of magic, you can spend the night in Kornati under a star-spangled sky, or pick olives and shear sheep in the company of local families. Lovers of spearfishing will be delighted by the opportunities on Murter to enjoy this "breathless excitement". Tuna and other bigeer species are targeted during the international Big Game Fishing event, held at Jezera at the end of each September. 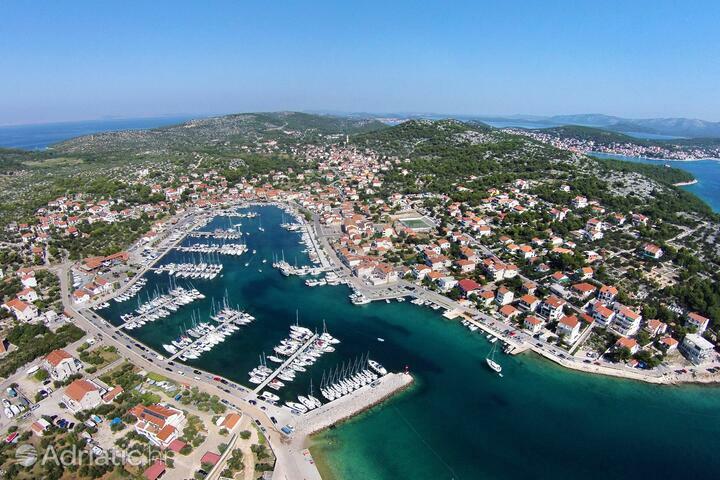 Wooden shipbuilding at its peak is evoked on Murter in the works and stories of old masters in Betine town, while the sailing tradition itself is maintained in the September regatta Latinsko idro (Latin sail). The donkey, an important animal in the traditional economy, was likewise remembered, although it is today only seen on the Tisno donkey farm. A fun summer spectacle commemorates their use - the donkey race known as Tišnjanska trka tovarov. Island Murter - What to do, what to see?